Sue is a full time, experienced Hypnotherapist, having gained her government backed Hypnotherapy Practitioner Diploma from the prestigious Clifton Practice, Bristol. Sue is also a supervisor of other hypnotherapists, and is the Standards Officer for the National Council of Hypnotherapy. She is continuing her commitment to her profession by studying for the Advanced Diploma in Hypnotherapy. Sue is passionate about the benefits to be gained from Solution Focused Hypnotherapy and is inspired by the life changing effects it has on her clients. 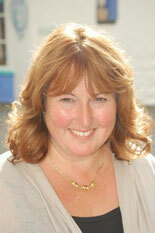 Sue provides hypnotherapy care to patients from across Cardiff and the Vale, Bridgend and Newport. Hypnotherapy uses a trance state to allow access to the subconscious mind which makes Hypnotherapy a powerful tool for reinforcing positive messages in the brain, without any side effects or danger.